Dynamic simulation of systems, using black-box or grey-box approaches. 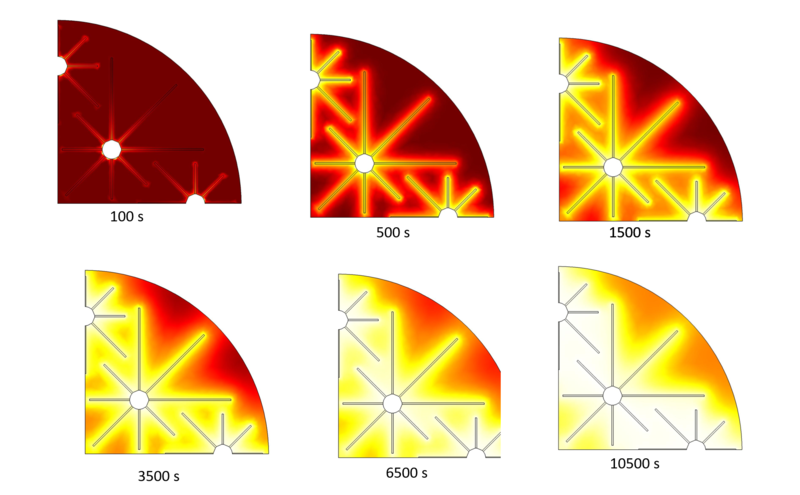 H. Neumann, V. Palomba, A. Frazzica, D. Seiler, U. Wittstadt, S. Gschwander, G. Restuccia, A simplified approach for modelling latent heat storages: Application and validation on two different fin-and-tubes heat exchangers, Appl. Therm. Eng. 125 (2017). doi:10.1016/j.applthermaleng.2017.06.142. V. Palomba, S. Vasta, A. Freni, Q. Pan, R. Wang, X. Zhai, Increasing the share of renewables through adsorption solar cooling: A validated case study, Renew. Energy. 110 (2017). doi:10.1016/j.renene.2016.12.016. S. Vasta, V. Palomba, D. La Rosa, W. Mittelbach, Adsorption-compression cascade cycles: An experimental study, Energy Convers. Manag. 156 (2018) 365–375. doi:10.1016/j.enconman.2017.11.061. V. Palomba, M. Prestipino, A. Galvagno, Tri-generation for industrial applications: Development of a simulation model for a gasification-SOFC based system, Int. J. Hydrogen Energy. (2017). doi:10.1016/j.ijhydene.2017.06.206. S. Longo, V. Palomba, M. Beccali, M. Cellura, S. Vasta, Energy balance and life cycle assessment of small size residential solar heating and cooling systems equipped with adsorption chillers, Sol. Energy. 158 (2017) 543–558. doi:10.1016/J.SOLENER.2017.10.009. V. Palomba, M. Aprile, M. Motta, S. Vasta, Study of sorption systems for application on low-emission fishing vessels, Energy. 134 (2017) 554–565. doi:10.1016/j.energy.2017.06.079. S. Vasta, V. Palomba, A. Frazzica, G. Di Bella, A. Freni, Techno-Economic Analysis of Solar Cooling Systems for Residential Buildings in Italy, J. Sol. Energy Eng. Trans. ASME. 138 (2016). doi:10.1115/1.4032772. V. Palomba, M. Ferraro, A. Frazzica, S. Vasta, F. Sergi, V. Antonucci, Experimental and numerical analysis of a SOFC-CHP system with adsorption and hybrid chillers for telecommunication applications, Appl. Energy. 216 (2018). doi:10.1016/j.apenergy.2018.02.063.